Ghislaine van der Ploeg, The Impact of the Roman Empire on the Cult of Asclepius, Leyde-Boston, 2018. 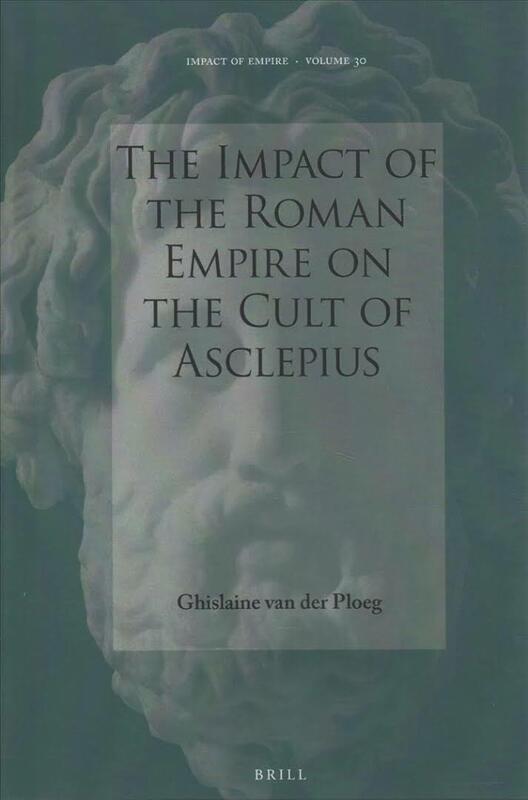 In The Impact of the Roman Empire on The Cult of Asclepius Ghislaine van der Ploeg offers an overview and analysis of how worship of the Graeco-Roman god Asclepius adapted, changed, and was disseminated under the Roman Empire. It is shown that the cult enjoyed a vibrant period of worship in the Roman era and by analysing the factors by which this religious changed happened, the impact which the Roman Empire had upon religious life is determined. Making use of epigraphic, numismatic, visual, and literary sources, van der Ploeg demonstrates the multifaceted nature of the Roman cult of Asclepius, updating current thinking about the god.